November 4, 2018 By Tina M 6 Comments This post may contain affiliate links. Read my disclosure policy here. I read an article the other day that made me rethink how I’m doing Christmas this year. But before I give some fun ideas, Here’s some stats I read that might shock you (and if not, hopefully it will inspire you to do something different this year). The average American family spends $1,700 on clothes each year, but also throws away 65 lbs of clothing each year. Our homes are increasing in size, while family size decreases. There are many studies out there that prove things don’t make us happy, and there are many stories of those who have purged their home of “stuff” and found greater happiness and freedom. But I don’t need to be convinced, I already know better (and last year convinced me to make a change). I know better because grew up with a single mom trying to make ends meet, where finances were always tight and almost every single year my mom sat us down and told us not to expect much for Christmas. And yet Christmas is my favorite thing EVER. I have zero memories of a sad Christmas–quite the opposite in fact. I have many memories of my mom taking us caroling on Christmas morning to a retirement center, or a treatment center for the handicapped. Those moments gave me a deep and tender love for the elderly and the handicapped. I have memories of sleeping under the Christmas tree and the magic that the lights on the tree represented. Those moments gave me fun memories with my siblings and a love for family traditions. I actually have zero memories of ever believing in Santa, and yet….Christmas is still the most magical time in my heart. My memories prove to me that all the shopping and the gifts and the pretty little gadgets do NOT make a happy Christmas. And now you can sing the rest……Why can’t I find you? Why have you gone away? There are a lot of blog posts out there that hate on Christmas or bash on Elf on the Shelf, and declare that gift-giving should be totally done away with, or maybe some that even believe Santa should be fired. This isn’t one of those blog posts. We all have our various ways of doing things that bring us joy, and we should all support each other’s individual way of celebrating the holidays. I SIMPLY ASK THAT WE MINIMIZE ALL THE STUFF. My purpose behind this blog post is to make one request to the world (or the mom or grandma or aunt or friend who may be reading this). Let’s BRING BACK CHRISTMAS! Whatever you do this season, ask yourself this question: “What’s good, what’s better and what’s best?” What might bring regret, and what might bring lasting memories? This is my 5th Christmas with kids and I’m just now realizing that I’ve been doing it all wrong. This year I have vowed for a change. So if you too, want to take the holidays to the next level and make them even more magical, here are a few ideas. For me personally, this means not doing Elf on the Shelf. 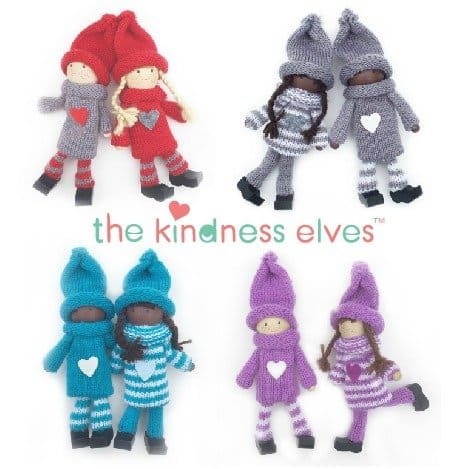 I think it’s a really great idea, and I think my family would LOVE doing it, but when I asked myself “is there something that could be better or even BEST?” I decided on the kindness elves. Similar fun, similar Christmas magic, but with a charitable focus, family bonding, and hopefully a lasting lesson and tradition that my children will remember for a lifetime. The elections alone this year have motivated me to teach my children how to be kind and to make it an important part of our Christmas this year. Another thing I love is the idea of Advent calendars. But when I thought “how could this be better?” I decided to count down to Christmas, but in a way that puts the focus back on Christ: Adding straw to the baby manger with daily acts of kindness. By the time Christmas is here, we have built a soft bed (through our kind acts) for baby Jesus. Read more about this idea here. Another idea is to give a vacation for Christmas. It doesn’t have to be expensive, but time away as a family can be one of the best things you can give, and kids remember it forever. Not only do they remember it forever, but instead of becoming disinterested in their Christmas present days later (like they would a toy), the excitement only keeps building until you leave on the vacation. If you decide to go this route, here is a fun Christmas Treasure Map that you can use Christmas morning that leads the kids on a fun scavenger hunt until they find out what the surprise is. The white stocking is a fun tradition for remembering Christ on Christmas Eve. But instead, I think I’ve done more harm than good. Instead, we’ve increased our clutter, inherited toys that never get played with, and created children that think that when they get bored with something that we will just get something “new” to replace it. Last Christmas I did trade for a lot of my kid’s gifts and thought that because I wasn’t spending very much, that it was okay to spoil them with some fun toys. But even with my penny-pinching, I watched them open their one-too-many gifts and felt embarrassed and a little bit ashamed. My neighbor down the street gives these 4 gifts to her kids for Christmas and nothing else. They also head for Mexico when school gets out and they stay their through the holidays to escape the materialism and spend time together as a family. I LOVE their tradition. And I love hearing their stories when they get back. They do service projects and give toys to kids that have nothing. Best Christmas Idea EVER. If you do buy your kids toys, I try to avoid the “trendy” toys that make an appearance every year. They are the toys that kids think they can’t live without because the commercials trained them to think that way, but they are also the toys that either get broken or forgotten within days. Although the new gadgets can seem fun and exciting, your best bet is to stick with Toys that Kids Actually play with that have been popular for decades. What ideas DO YOU HAVE for a more magical Christmas this year??? What a wonderful article! Thanks for these ideas!! I LOVE this! I have a 3 month old and her Daddy and I have been in lots of major discussion about how we want to celebrate Christmas in a way that won’t spoil her, but still make it magical. I am so glad I found your post. I started a tradition with my niece and nephews 3 years ago, which we also did this year with my husband’s nieces and nephews. We call it Giving Day! We pick out projects aimed at their skill level (usually from pinterest.. lol) for each child to make a gift for each other. I set up different stations in the house… so they can’t peek and we help each child make their gifts for their siblings. They are always so excited to see their sibling open the gift they made them…. we try to make the Giving more important than the receiving. Reading your article took me back to my childhood memories and the true joy I felt while Christmas’s caroling with my little church friends at nursing homes and joining neighbors as we would go door to door singing old fashion Christmas songs. Oh, I could on and on. It wasn’t all about the presents. I am so grateful my mother made sure we experienced the true magic of Christmas. Thanks so much for sharing! Thank you for your thoughts……. sounds a lot like our family growing up! 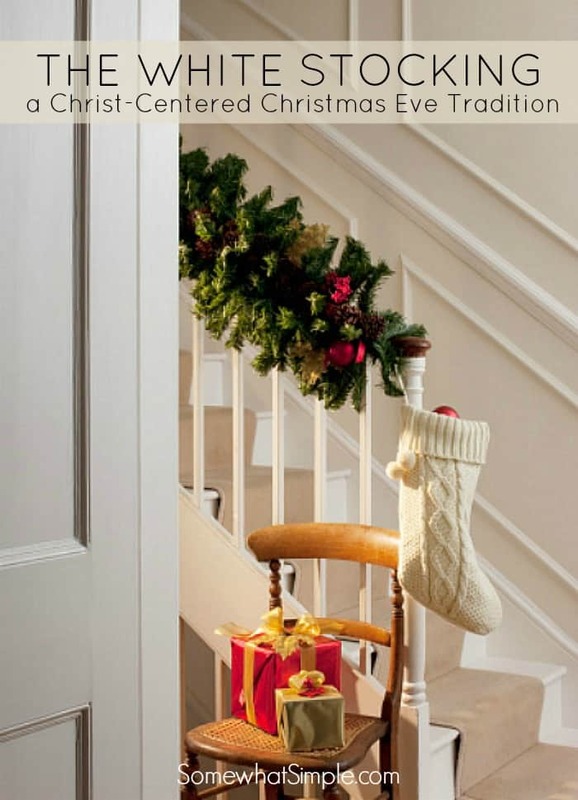 Breaking out of the materialistic nature of the season would be wonderful- definately found your blog helpful! Great article!! I’m all about making the memories! Kids will forget about the dated toy but memories last forever. Also as I was reading your about you at the end I was like, wait a minute, I could have written that. LOL! I’m a six foot tall mother of 3 too! !